JohnnieFromTheBlog – No iPhone 5 during 2011? The iPhone 5 rumors have virtually exploded on tech blogs around the internet. And discussion about design and specifications goes on as usual. 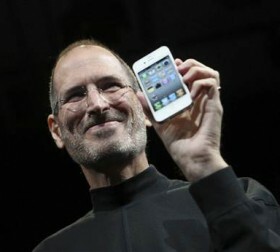 And off course, will there be an iPhone Nano this time? I am going to stick out my chin and claim a few rumors myself. First off there will be no iPhone 5 during 2011. Yes there will be a 5th iPhone but it will be called iPhone 4G. It will be officially announced at the WWDC 2011 in 6th of June. It is basically an upgraded and 4G-ready iPhone 4. The design will be exactly the same as iPhone 4 but this time there will be a white version available at release date. It will have a faster version processor, the same dual core A5-chip as in iPad2. The back camera will be upgraded to an 8mpx from Sony but most noticeable and needed upgrade will be on the FaceTime camera. Battery capacity has been optimized to add another 10-20% battery time. The retina screen will have the same 960×640 resolution but will be slightly but not much larger. It’ll come in 32GB or 64GB leaving the 16GB version behind. We can expect release not earlier then September 2011. When it comes to a Nano version of iPhone or even a budget iPhone there will be no such thing. The budget iPhone alternative will always be the predecessor of the latest and greatest. Just like iPhone 3Gs became the budget alternative when iPhone 4 was released. This time around it will be the 16GB iPhone 4 which becomes the “budget” iPhone. ← Crysis 2, almost awesome!